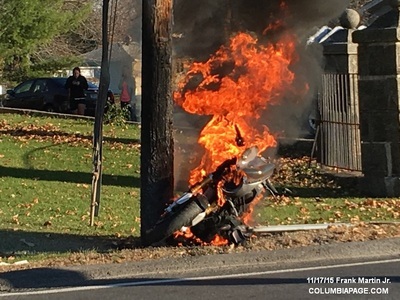 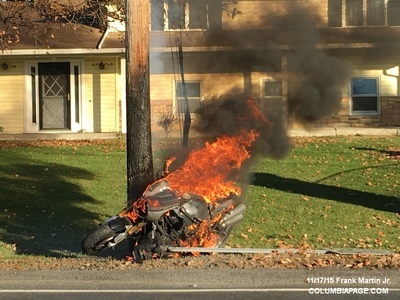 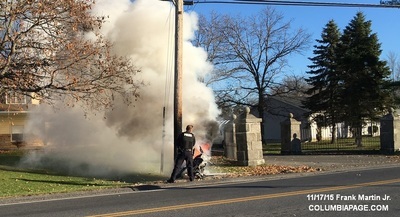 Columbia County 911 dispatched Greenport and Hudson Firefighters and Greenport Rescue at 2:56pm for a reported motorcycle on fire after striking a utility pole at 208 Joslen Boulevard in the Town of Greenport. 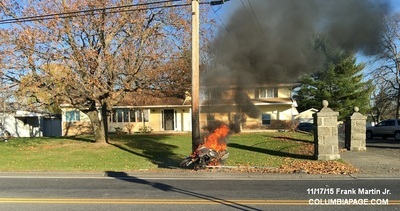 A helicopter was placed on standby but was not needed. One subject was transported to Albany Medical Center by Greenport Rescue. 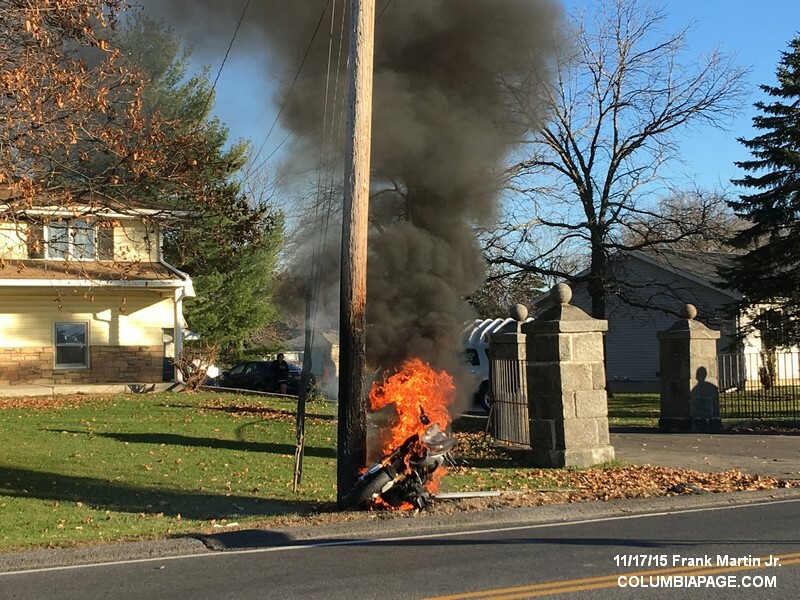 National Grid was requested and responded to the scene. The New York State Police investigated. 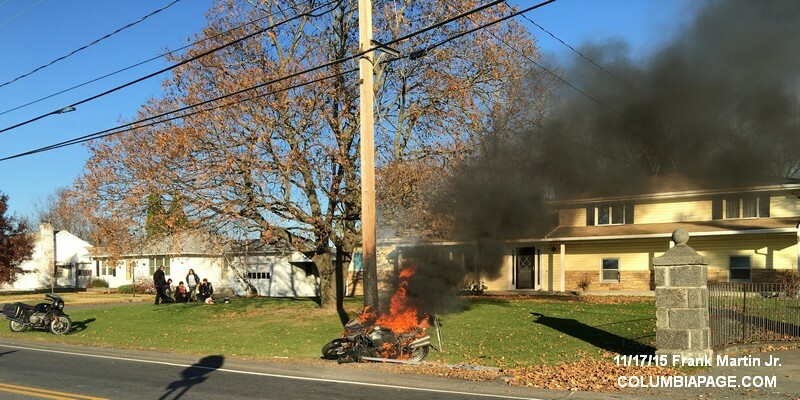 Greenport and Hudson Police assisted. Photos by Frank Martin Jr.